Ian Hannam is founder of Hannam & Partners, a leading investment bank with sector expertise in natural resources and financial services. A former Captain of the 21 SAS, Ian started his career as an engineer. He was posted overseas and managed large construction projects in Nigeria, Ghana, Hong Kong, and Oman. Due to a coup, this included leading a team of 400 to build the first tarmac road in the walled city of Kano, Nigeria. On entering finance, Ian spent more than 30 years at Salomon Brothers and then JPMorgan. Appointed Chairman of Equity Capital Markets in 2000, he became Vice-Chairman of JPMorgan and Chairman of Global Debt and Equity Capital Markets before leaving the end of 2012. He came up with the idea of, and was the driving force behind, the bank's joint venture with Cazenove in the UK in 2005. In addition to ECM, between 1994 and 2013, he advised global companies on their financing and expansion, and, working with a team, was responsible for pioneering the book building process globally; modernising debt and equity raises through computerisation, and bringing the emerging markets' largest companies to the London Stock Exchange. For example, he was the key relationship banker to SAB, helping a small brewery in South Africa become a global giant. He advised it on its numerous debt and equity raises; led on their IPO in London, and advised on their merger with Miller to form SABMiller. Also known as the ‘King of Mining’, he helped float mining heavyweights BHP Billiton, Vedanta and Xstrata; bought together Glencore and Xstrata in a $90 billion deal, and pioneered JPMorgan’s mining activities in Afghanistan and Kurdistan. Outside of business, he is a passionate believer in providing young people with the skills and experiences they need to make a success of themselves. He is a founder of The Ulysses Trust, which provides UK cadets and reservists with financial support to develop themselves through global expeditions. In June 2014, Ian Hannam was appointed a governor of the world-leading London Business School. Having been re-elected in 2018, he is due to complete his third and final governorship in 2020. Alongside other governors, he is responsible for overseeing the finances, property, business, academic and non-academic affairs of the school. A South Londoner, Ian was the first of his family to attend both grammar school and university, but one of his first loves was the military. At the age of 14, he joined the 10th (Kent) Cadet Regiment, South East London Army Cadets Force, 105 Battery. He served in the British Army, passing selection into the 21 SAS (Artists Regiment) on 30 September 1973, becoming a Sergeant in 1979 before entering RMA Sandhurst in 1982 and becoming a Captain. He transferred from the 21 SAS to the Reserve Army (RARO) in 1994. He also undertook a two-year attachment with 11th Special Forces Group (United States) in New York as a Captain and, as a civilian with the rank of Major, he worked in the Middle East with the United States Army Corps of Engineers on various projects. A member of the Royal Canoe Club, he competed in the 126-mile Devizes-Westminster Canoe Race and won the Armed Forces Trophy. Ian Hannam was awarded the prestigious Territorial Decoration (TD) for his military service. Ian originally became interested in engineering and computing at high school. He was fortunate enough to participate in an outreach programme run by Imperial College, which gave students access to their mainframe computer at a time when access to computers was rare and expensive. It was this formative experience that led him to choose to study at Imperial. Between 1973 and 1977, Ian studied at Imperial College, gaining a BSc (Eng). During his studies, he worked with his tutor, Dr. Potter, on demolition, including in his final year project, which focused on demolition theory in pre-stressed concrete structures, especially bridges. On leaving university, he joined Taylor Woodrow International, where he undertook large-scale engineering projects across the world including in Oman, Nigeria and Ghana. In June 1977, Ian Hannam was deployed as an assistant engineer to work with 15 expatriates in Nigeria, but a coup led to no work permits being granted. Nonetheless, he remained in the country and within six months was in sole charge of 400 people, responsible for building the first tarmac road in the walled city of Kano, which was completed ahead of time and under budget. Having proved his ability to lead contracts, in 1979 he was deployed alone to complete a number of projects with a landing craft, including projects in Thumrait, Salalah, Musandam Province, Bukha, Khasab, and naval bases in Goat Island and Quoin Island. In Oman his work included building a hurricane shelter for the British Foreign and Commonwealth office on Masirah Island. In 1979-1980, he was an engineer on the Gatwick North East Extension. He also spent 12 months in the design office designing the dry dock for Dubai Port; a manganese nodulisation plant in Nsuta, Ghana; the foundations of the Hilton Hotel in Bahrain, and a bridge in Prince Margaret, Trinidad. In 1982, Ian studied to become a Chartered Civil Engineer (MICE, CEng., FEANI), and was one of only five people out of 400 singled out for a distinction for both the quality of his written exams and the breadth and depth of his practical knowledge. Ian's time in the Middle East, Africa and Asia fuelled an interest in capitalism and in what economic factors drove peace, stability and growth. Between 1982 and 1984, Ian studied for an MBA, MSc (Econ) at London Business School, and began his career in finance. At the time, London Business School was a source of great innovation in economics led by Professor Alan Budd and corporate finance. He was able to blend his computer skills and apply them to the work of finance. Working under Professor Brierley and Professor Franks, Ian used the Apple II to create models for the financial markets. His tutor was Professor Sir Andrew Likierman. Having lived, worked, and traveled worldwide, he had come to appreciate how capitalism could positively change people's lives, create stability and moderate extremist views. He had seen this personally in the UK, Oman, Malaya and this led him to New York, where modern economic theories were being developed and capital markets much more efficient at the time. Following graduation, two former graduates recommended him to Salomon Brothers, and he joined the firm. He stayed in contact with London Business School throughout his time at Salomon Brothers. In June 1984, Ian Hannam joined Salomon Brothers and attended the firm’s training programme and he was offered his dream job of working on the primary equity and debt syndicate desk at a time of great change. He later transferred to London initially to work on bonds and helped to establish the International Equity Syndicate Desk specialising and creating innovation in convertibles, bought deals and GDRs. During this time, Ian established relationships with the UK Government and worked closely with Sir Stephen Robson, who was Head of Privatisations, to manage or co-manage all British government privatisations, starting with BT 1. Ian was also responsible for the running the privatisations of British Airways ($1.2 billion) and Suez; listing Sotheby's on the New York Stock Exchange, and running the £556 million rescue rights issue for Eurotunnel following Salomon Brothers founder shareholder position which he brought with him when he transferred from New York. In 1987, Ian was at the forefront of developing the international equity market, and helped to spearhead US equity investment in developing Europe, and working with others helped develop the Global Depositary Receipt (GDR) as an alternative to the American Depositary Receipt (ADR). During this period, he completed the first block trade in the London market, selling British Petroleum. He also drove the idea of convertibles for blue chip American companies. He was the first person to complete a placing in the London market via book building. Working with colleagues, he built and designed a bespoke computer system for BT 2, which was subsequently used for the Wellcome Plc deal. The system was upgraded for the Wellcome Plc deal through connecting together 120 banks into the book-building process through a purpose-built modem system. Finally, he worked with the bank’s London Chairman at the time, Charlie McVeigh III, to help poach Robert Maxwell from the bank’s big US rival, Goldman Sachs, leading the floatation of the Mirror Group Newspapers in the early 1990s. Between 1986-1992, Salomon Brothers was in the top three of league tables for all equity and equity-linked products outside the US. 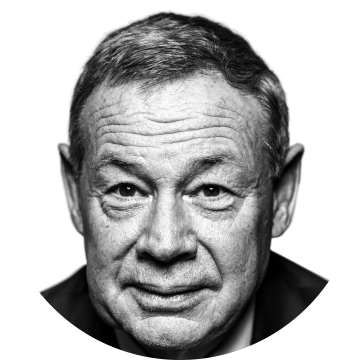 In 1992, Ian Hannam left Salomon Brothers to join Robert Fleming, where he established the company's first capital markets department to execute the sell down of the Wellcome Trust's holding in Wellcome Plc. After the completion of the sale, the decision was made to establish a permanent department at Robert Fleming. This deal was London’s first multibillion-dollar institutional placing done via book building. At £4.5 billion, it was the largest equity deal in the world at the time and today still ranks as one of the largest ever. It was also the first step in the chain of global pharmaceutical deals that led to the formation of GlaxoSmithKline. Ian and his team’s work with Robert Fleming can be categorised in four phases: establishing the company as the No. 1 bank in Asia through Jardine Fleming; growing the bank in South Africa through flagship deals; further growing the bank in Eastern and developing Europe, and, finally, taking over the UK franchise and bringing international companies to London. Ian Hannam was able to build Robert Fleming's reputation through leveraging computerisation, completing book-built deals which enabled Asian companies to issue equity in London, but see the results from home. This system was flexible and fast for Asian companies, and encouraged companies with global ambitions to come to London. In 1993, the department jointly led 30 issues and underwrote a further 115 issues raising over $23 billion from 21 countries, commanding a leading market share in Hong Kong, India and Thailand and making an inaugural deal in Taiwan. In 1996, the department had grown to completing deals in 24 countries, adding deals in South Africa, Indonesia and Philippines. Using his UK privatisation experience, Ian also acted on privatisations for the governments of India, Pakistan and Hong Kong. Deals that followed over the coming years included the privatisation of Pakistan Telecom ($898 million); financing Liberty Life ($320 million), which was the first financing for a South African company after the release of Nelson Mandela; and locating a team to Port Moresby, Papua New Guinea to run the IPO of the State natural resource company Orogen Minerals. He acted for the Hong Kong Government during the Asian crisis of 1998 in its acquisition and divestiture of its equity portfolio to defend the Hong Kong Dollar against hedge funds. While Ian's principal focus through this time was the emerging markets, his success meant that he was also given responsibility for the UK and built that franchise, helping to bring large international companies to the London market, including SAB. Between 1997 and 1999, Ian Hannam ran a number of record-breaking IPOs and equity financing raises, including Billiton plc ($1.6 billion); Sun Life and Provincial ($811 million); Somerfield plc ($293 million); SANLAM's South Africa business ($732 million); and South African Breweries plc ($561 million), which was listed on the London Stock Exchange. In 2000, Robert Fleming was acquired by Chase Manhattan for $7.5 billion, which was in turn bought by JPMorgan in the same year. Ian was a member of the Executive Committee and the largest private shareholder outside of the Fleming family. A member of JPMorgan’s Global Equities Management Committee until 2005, Ian’s principal focus was on Asia and emerging markets. In 2005, Ian conceived the concept of a five-year joint venture with Cazenove and, with the support of Bill Winters who wanted to make JPMorgan a force in Equity Capital Markets, successfully sold the idea to both Jamie Dimon at JPMorgan and Cazenove’s Chairman David Mayhew. The concept was a success from day one, with revenues doubling and primary equity commissions going from approximately £50 million for the two firms separately to between £100 million and £150 million, with the number one market share. In 2009, JPMorgan and Cazenove merged in a deal worth $3.4 billion. JPMorgan Cazenove became the leading player in the UK markets by initially bringing new clients to the platform. The credit crisis of 2008/2009 saw JPMorgan Cazenove ready to capitalise on what Ian Hannam saw as a once in a lifetime opportunity. During this period, Ian was involved in JPMorgan Cazenove’s successful raise of $85 billion for 64 companies with more than 70% of the market, financing European banks amongst others, Barclays, Standard Chartered keeping them out of government hands and culminating in the £12.5 billion capital raising for HSBC. In addition, they recapitalised mining companies including Xstrata and Rio, property companies including Land Securities, and construction companies such as Taylor Wimpey. Between 2005 and 2013, Ian worked on a number of raises that broke records, including the acquisition of Nigerian oilfields by Heritage Oil ($850 million); IPO of Vallares ($2.1 billion); merger of Vallares and Genel Energy ($4.2 billion); IPO of Essar ($1.9 billion); IPO of Vallar ($1.1 billion); HSBC rights issue ($19.6 billion); Rio Tinto rights issue ($15.2 billion); Lloyds Bank rights issue ($12.9 billion); IPO of Fresnillo ($1.8 billion), and Xstrata placings ($5.6 billion and $2.5 billion). While at JPMorgan, Ian Hannam capitalised on his experience in the emerging markets as a key broker and adviser to all the world’s leading natural resources companies. His success led to him being named the ‘King of Mining’ by the global financial press. He was responsible for the floats of BHP Billiton, Vedanta and Xstrata on the London market, and he was a key relationship banker to Xstrata’s chief executive Sir Mick Davis. Ian helped Xstrata sell shares in 2002; advised on its $18.1 billion acquisition of Canadian nickel producer Falconbridge in 2006; and brought together Xstrata and Glencore in a $90 billion deal. In addition, Ian was also responsible for bringing Kazakhmys to the London market, and was corporate broker and adviser to many other companies, including SABMiller, Hochschild Mining, Genel Energy, Fresnillio, Aberdeen Asset Management, Schroder Ventures, Ferrexpo, GEM Diamonds, Aricom, Heritage Oil and Gas, Peter Hambro Mining, Sibir Energy, Max Petroleum, Mwana Africa and African Barrick. In 2012, Ian resigned from JPMorgan to fight his fine from the FCA and focus on building his own private investment office and corporate finance advisory firm. In January 2013, Ian Hannam bought Strand Partners and appointed Neil Passmore, former JPMorgan executive, as Chief Executive Officer. In April 2013, John Manser, former CEO and Chairman of Robert Fleming and Chairman of SABMiller, was appointed as Chairman. The firm was renamed Hannam & Partners in 2014 and has grown quickly, building a reputation for its honest advice and technical ability to manage complex situations; their entrepreneurial mindset; and energetic approach to ensuring no stone is left unturned for clients. As of 2018, the company has more than 45 employees with offices in London, South Africa and Mumbai. The company has specialist sector expertise in natural resources and financial services. As well as an advisor, Ian has throughout his career been active as a private investor, often drawing on his expertise and networks to found and capitalise new business ventures. Ian has personally invested in a diverse range of companies, helping them create jobs, grow and prosper. In June 2013, as majority and controlling shareholder, Ian led a consortium of investors in acquiring Mansfelder Kupfer und Messing, the largest single-site manufacturer of copper with 500 years of heritage. The business was acquired for €207 million. The German government has invested more than €400 million in the facility and, over the last 5 years, the company has invested a further €85 million in creating a state-of-the-art modern facility. 85 per cent of copper is now manufactured in the greater Germany area, and the MKM facility is ideally located on the Leipzig railway line to China. MKM has an annual turnover of more than €1.1 billion, employs over 1,100 people, and processes approximately 270,000 tonnes pa of copper and other associated metals in producing various alloys. Ian Hannam is the majority shareholder, holding 70 per cent of the company, and with others controls more than 85 per cent. While working with JPMorgan, Ian was approached by the British Ministry of Defence, having recognised his work in Iraq with the US Department for Defense. Ian had helped to successfully establish the Iraq Trade Bank and developed the oil industry in Iraqi Kurdistan. The British Ministry of Defense had noticed that there were substantial mineral opportunities in Afghanistan but, due to the environment, the country had been unable to attract the attention of international companies, except for those in China. Originally chaired by Jan Kulczyk, Centar is now a shareholder of a number of companies that have won approval from the Afghan government to operate gold and copper mining operations at Balkhab and Badakhshan. In 2015, following the death of Kulczyk, Ian took over as Chairman. Unfortunately while mining licenses have been granted, a change of government adminstration has meant that permission to start operations has become stuck in bureaucracy. Ian, with the support of Cherie Blair, continues to push for authorisation to start operations. Ian Hannam teamed up with former BP boss Tony Hayward to acquire CompactGTL, which leverages the Fischer–Tropsch process to turn gas into diesel. With the support of new shareholders, CompactGTL was able to sign a Memorandum of Co-operation with the Kazakhstan Ministry of Oil and Gas for the construction of a 3,000bpd gas-to-liquids plant. In July 2014, the company concluded arrangements for a $50 million investment by a consortium of investors to build the world’s first small scale commercial GTL plant. In 2014, Ian was approached by a number of former employees from Salomon Brothers who had founded and sold Threadneedle Capital, a platform for hedge fund managers. Believing that the regulatory burden for startup investment managers was prohibitive, Halkin Asset Management was formed with Ian as a majority shareholder. It offered these managers a multi-asset platform, offering portfolio management and advisory services without the traditional $200 million AUM minimum. In 2016, the platform was used by partners as the basis of raising the $100 billion SoftBank Vision Fund. Through the company's acquisition by FAB and rebranding to Centricus Asset Management, Ian Hannam allowed himself to be diluted to a minority shareholder. In 2017, Ian Hannam invested in fintech startup Revolut, a digital banking alternative that includes a pre-paid debit card, currency exchange, cryptocurrency exchange and peer-to-peer payments. A lifelong and active philanthropist, Ian is passionate about helping young people get on in life, and providing them with the experience, education and skills they need to succeed. In 1992, Ian Hannam funded the Reserve Forces Expedition to Everest in the winter of 1992, led by Lt Col Philip Neame, commander of 10 PARA (V). Recognising the value of these expeditions to young people’s development, Ian helped establish and was a founding supporter of The Ulysses Trust, which provides financial support to UK cadets and reservists to plan and go on global expeditions. Since its inception, the Trust has provided more than £2.8 million in funding support to over 34,000 reservists and cadets variously participating in over 2,650 expeditions at worldwide locations. Its Patron is HRH Prince Charles. A strong believer in the power of education, Ian was privileged enough to be invited to become a governor of the world-leading London Business School, where he was lucky enough to study many years earlier for his MBA.